Whether it’s a coffee break for 10 or a sit-down dinner for 10,000, we're always cooking up something delicious. With exclusive food and beverage rights for both the Convention Center and the connected NASCAR Hall of Fame, our team is able to provide mouthwatering customizable menus at competitive pricing, as well as banquet staffing that meets your event needs. 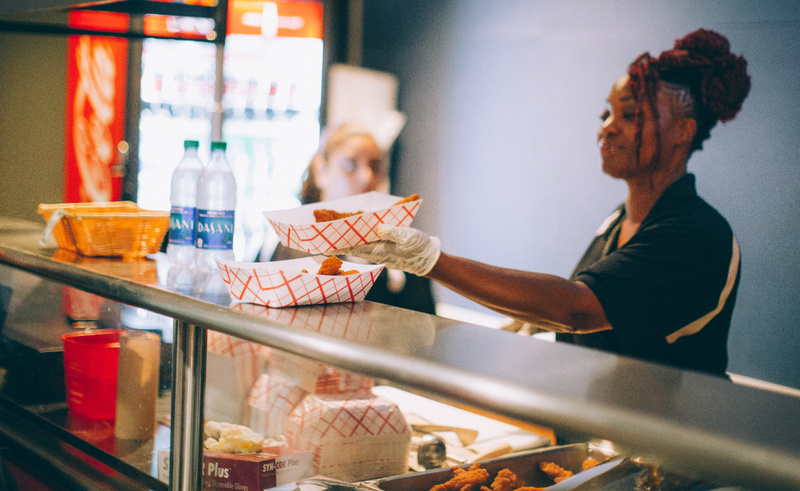 Our in-house offerings—catering, food vendors at Delish Food Court, and concessions in the exhibit halls—make our venue a one-stop shop for breakfast, snack breaks, lunch and dinner. Breakfast buffets and boxed lunches, sit-down dinners and snack breaks—our catering team does it all. 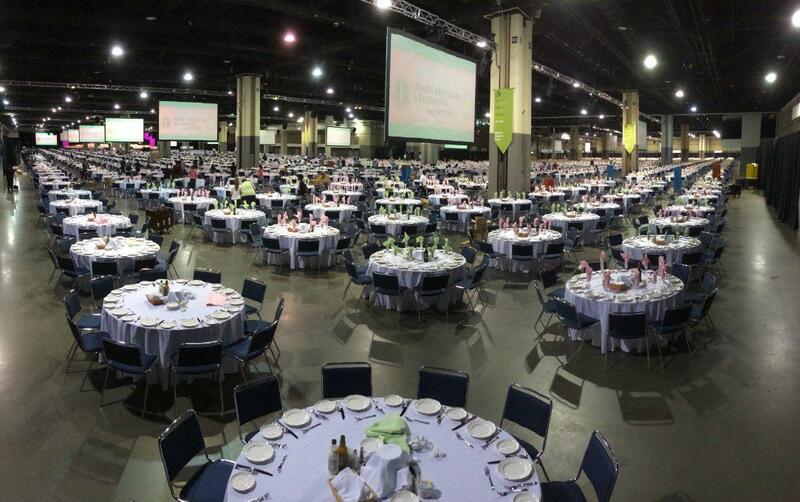 With the ability to tailor menus to different themes or budgets, the Charlotte Convention Center’s food and beverage staff serves up exceptional cuisine for events of all appetites and sizes. Located on the Charlotte Convention Center’s meeting room level, Delish Food Court features Einstein Bros. Bagels, Bojangles’ Famous Chicken ‘n Biscuits and Buon Cibo, a counter serving pizzas, pastas, salads and daily blue-plate specials. Starbucks is a flight of stairs away, on the building’s concourse level. Patrons are invited to sign up for a Delish Loyalty Card and receive 10% off every purchase, plus collect points to be used towards future purchases. Sign-up with a cashier during your next visit. Bojangles' - 7:30 - 2:30 p.m.
Buon Cibo - 11:00 - 2:00 p.m.
Einstein - 7:30 - 1:30 p.m.
Starbucks - 7:00 - 1:00 p.m.
Three concession stands keep the Charlotte Convention Center’s exhibit halls fed and watered with breakfast and lunch sandwiches as well as ballpark-style fare like burgers, fries, nachos and bratwursts. 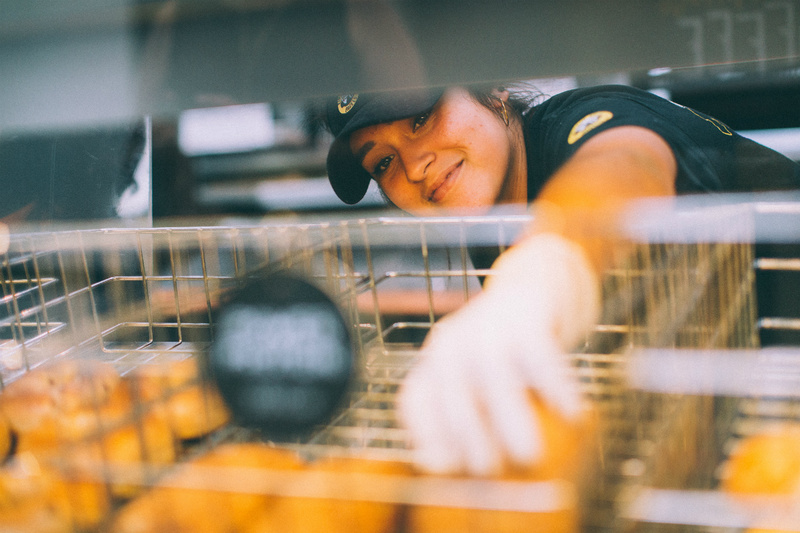 For extra support, ask our team about setting up mobile deli stations and barbecue carts, too.